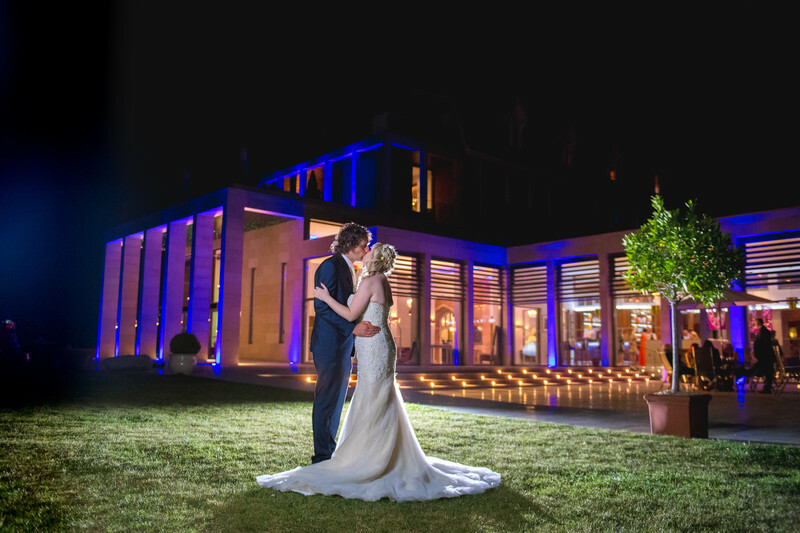 From my very first meeting with Louise and Matt, it was clear to me that they had very specific ideas about the sort of wedding photos they wanted, the majority of these being after-dark. This was fine with me, as I love photographing weddings at Stanbrook Abbey once the sun has gone down. One of the key aspects the couple wanted to show off in their wedding photos is the venue's amazing architecture. At the same time, they wanted to give their wedding photos that extra kick with some dramatic lighting. One of the locations we picked out during one of our pre-wedding meetings at the Abbey, is the old front entrance (the main door by the Piano Bar if you're familiar with the venue) and as soon as we were the on the day of the wedding I knew exactly how I wanted to shoot the image. 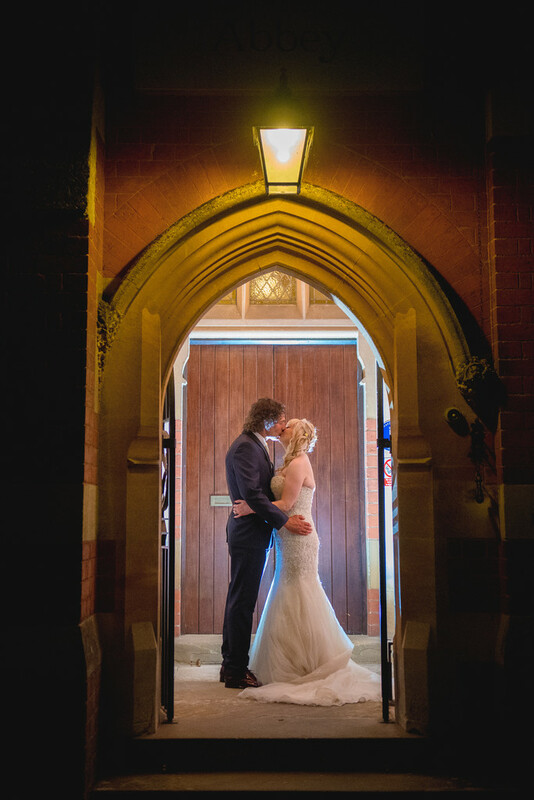 I posed the bride and groom centrally in the doorway, and used manual camera settings to expose for the ambient light - that is the light that's produced by the lamp above the door. From there I placed a small flashgun behind the couple and aimed it directly upwards, as too much light hitting the bride and groom from such close distance would make them too bright and at the same time, not enough light would reach the rest of the alcove the way I wanted. I'm so used to taking shots like this, it didn't take any time to get the camera settings right and before we knew it, we were onto our next location!